The 73rd United Nations General Assembly (UNGA) that kicked off last September 25 brought together the presidents, heads of governments and high-ranking representatives of the 193 UN member states. The General Assembly is the main deliberative and policymaking organ of the UN. It is the only UN body with equal representation, where each country has one vote. However, it is the general debate that takes place during the first five days that draws most of the attention. That is when heads of state take turns to speak about their countries achievements and challenges, and make statements of commitments and political position. It is an occasion to tell the world where they stand on many issues. It is a great opportunity for all those who want to see and hear the speeches of the world leaders direct on the UN live stream videos. There is usually a lot of anticipation. One country out of the 193, with a few exceptions, elicits the expectations of all the others for its geopolitical implications and impact. It is the United States of America. The reactions range from diplomatic rebuttals or concurrence, to expressions of defiance. In our region of the Americas, I would like to focus on the speeches of the president of the United States, Donald Trump, and the president of the Bolivarian Republic of Venezuela, Nicolas Maduro Moros. Understanding the position of the two countries today is key to understanding the future of Latin America. We have seen a great deal of confrontation between the two countries over the years. Venezuela is trying to consolidate its socialist Bolivarian Revolution initiated by Hugo Chavez in 1999, and the U.S. is overtly attempting to stop it by provoking a regime change and establish a pro-neoliberal government that Venezuela openly and vehemently rejects. Can we foresee any compromise in their position from their speeches at the UN? Donald Trump started out with what seems to be his trademark, praising himself for the best administration in the history of the United States. That caused laughs from the audience. Trump was caught off guard by the unexpected reaction and off-script said, “but it is OK”. I mention this only to highlight the contrast in the reactions from the audience to the two presidents. President Maduro received several rounds of applauses and a standing ovation at the end. Having put that comment out of the way for the benefit of those who have not had the chance to watch the speakers on video, what did Trump really say? Overall, in term of U.S. foreign policy, Trump dedicated almost a quarter of his speech to issues related to the Middle East. While praising the “advances” that the U.S. has made against terrorism, surprisingly he did not make a single reference to Russia’s important balancing contribution to de-escalating conflicts in the region. “Currently, we are witnessing a human tragedy, as an example, in Venezuela. More than 2 million people have fled the anguish inflicted by the socialist Maduro regime and its Cuban sponsors. Those same words, though, together with a practice of intolerance for diversity, could also suggest a desperate transition and indicate that the “alternative model” is one of ultra-nationalism. We know from the history of the 20th Century that ultra-nationalism was a disastrous social experiment for the world. The U.S. new strategy includes a retreat from many of the international commitments such as the Commission on Human Rights and the International Criminal Court among others in the name of “patriotism” and for the sake of “sovereignty”. However, U.S. interventionism in the affairs of other sovereign states is to continue making more evident the U.S. doctrine of exceptionalism. Here are some of his quotes categorized by relevant topics. No further comments are necessary. “Yesterday in this same place the President of the United States of America attacked, once again, the noble people of Venezuela, [with] its interventionist role, its pretentious role as judge, party and police of the world.” This was a reference to Trump’s announcement of new sanctions against Venezuela. Despite the awareness that back channel conversations can take place between conflicting countries, this possibility is quite remote first and foremost because this is a one-way “conflict”. It is the U.S. that is interfering with Venezuela and not the other way around. U.S. sanctions and military threats are unilateral and the Venezuelan government has responded only in the form of official statements of rejection and denunciation without threats nor retaliation. 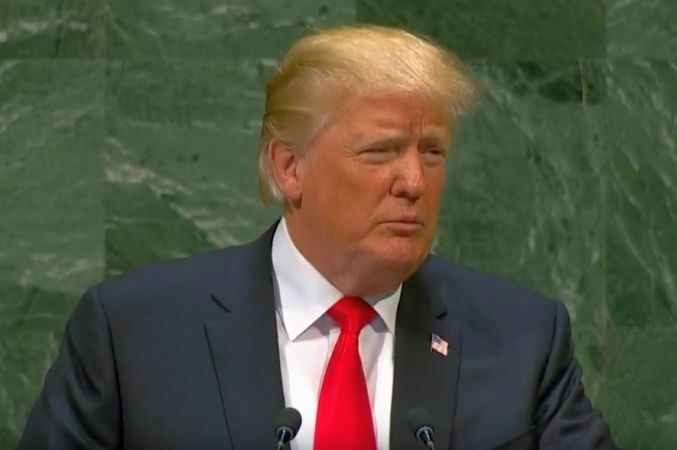 Having said that, after a long-standing confrontation, imposed sanctions and threats against the DPRK, we never imagined Trump thanking Chairman Kim Jong Un, “for his courage and for the steps he has taken” – around withholding development of nuclear weapons – as he did at the UNGA. We can only hope. Trump did not refer extensively to Venezuela in his speech but his message was precise and unequivocal. I paraphrase: we will continue imposing sanctions and socialism is very-very bad, all nations should oppose it. He did not utter any military threats at the UNGA. Even then, several heads of State rejected the notion of interventions, military or otherwise. What Trump did not say about Venezuela, he did say about Syria and “the corrupt dictatorship in Iran” and the “chaos, death, and destruction” its leaders have caused together with “mayhem across the Middle East and far beyond.” Strong words. Perhaps Trump’s real message was his geopolitical view of the world and the U.S. position in it. He put it very concisely and explicitly in one sentence, “We reject the ideology of globalism, and we embrace the doctrine of patriotism.” It was a reference to pulling out from obligations of international responsibilities and commitments, at the same time that it does not rule out U.S. offshore intrusion in order to disrupt any perceived threat to its power and interests. China and Russia are seen as such a threat. Aside from the political ideology, it is possibly in the geopolitical view of the world where lies the greatest divide between the U.S. and Venezuela. The U.S. is increasingly defending itself from a developing multi polar world with China, Russia, Iran, and other nations – including Venezuela. The Trump administration seems to have adopted a daring, and possibly dangerous, redesign of U.S. geopolitical strategy in order to avoid being pulled in by the sheer force of attraction, and consequently lose the unipolar exclusive power that has been its historically persistent strategic drive. Beyond the obvious defense of independence and rejection of the economic war on Venezuela, Maduro has clearly stated his belief in a multipolar world that recognizes and includes China and Russia. Venezuela is wholeheartedly accepting the inevitable reality and is embracing the opportunities that it brings. Those worldviews are too far apart to even conceive a point of contact. But Venezuela, with the international law on its side, continues to call for a dialogue with the opposition, the U.S. and the international community. 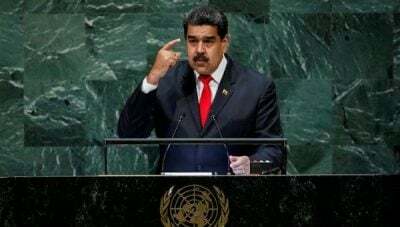 I think it was unfortunate that Trump did not take the occasion of the UNGA to meet face-to-face with Maduro. Without a dialogue there cannot be any possibility of compromise in their positions. And without compromise, continued divisions in Latin America, potentially escalating to more serious confrontations, can devastate the whole region.